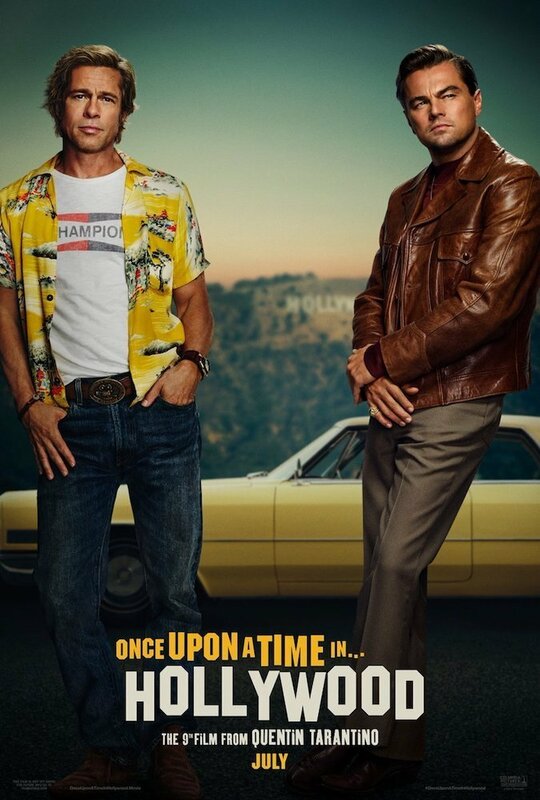 The first trailer for Quentin Tarantino‘s highly anticipated Once Upon a Time in Hollywood is expected to drop later this week, but in the meantime, fans can feast their eyes on this new poster, which sees Brad Pitt and Leonardo DiCaprio styled for the year of 1969. Though plot details are still a little vague, Once Upon a Time reportedly sees aging Western TV star Rick Dalton (DiCaprio) and his friend and stunt double Cliff Booth (Pitt) embark on an odyssey to make a name for themselves in the film industry. The story unfolds around the time of the Manson Family murders, and features Margot Robbie as Sharon Tate. Of course, with this being a Tarantino movie, the major names go well beyond those three stars. Also featured in the film’s formidable cast list are Damian Lewis as actor Steve McQueen, Al Pacino as Rick’s agent Marvin Shwarz, Dakota Fanning as Manson follower Lynette “Squeaky” Fromme and Emile Hirsch as Tate’s friend Jay Sebring. On top of that, you have the late Luke Perry, Kurt Russell, Michael Madsen, Tim Roth, James Marsden and we could go on, but you probably get the idea. With the murder of Sharon Tate having its 50th anniversary this August, Tarantino’s film is one of several that will portray the late actress this year. Other examples include The Haunting of Sharon Tate, which comes out next month and sees Hilary Duff in the title role, and Tate, which has Kate Bosworth in the lead. Understandably, this new trend of movies has proved controversial, but while Sharon Tate’s sister Debra initially voiced her objections to Once Upon a Time in Hollywood, she eventually claimed to have “high hopes for the project” after discussing the film with Tarantino. You can decide for yourself if the flick is up to the director‘s standards when it arrives in theaters on July 26th, 2019.